Best Budget Gaming PC Build 2019: GTX 1660 Edition! Home Reviews Buying Guides Best Budget Gaming PC Build 2019: GTX 1660 Edition! How much does it cost to build a gaming PC? Well, that doesn’t matter because we are building an affordable gaming PC! Still, it can be hard to pinpoint the cost for a budget PC too. For instance, if you’re willing to utilize used hardware and refurbished prebuilts, the total cost of your cheap PC parts could be as low as $300. Fortunately for you, we have you covered! We’ve built this machine around an AMD APU, which means that the GPU is technically optional. You’ll obviously want to upgrade to a discrete GPU somewhere down the line for the best performance– or just start with the one we’ve given you in this article– but even with the APU-only version of the build, you’ll be able to play AAA games at 720p and 60 FPS. With overclocking, many games (especially eSports titles) will be able to be pushed to 1080p and 60 FPS at low/medium settings! 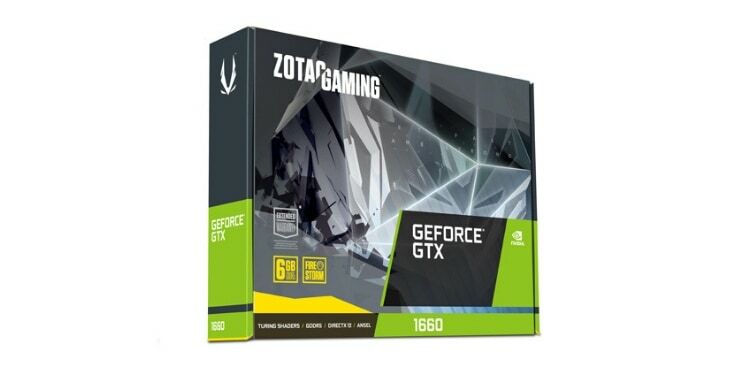 If you’re willing to go all the way and opt for the GTX 1660, though, you’ll see a massive improvement. You’ll go from having a gaming PC that’s a bit less powerful than an Xbox One to a gaming PC that’s more powerful than an Xbox One X. Our goal with the best budget gaming PC build is to provide options. If you can’t afford a ~$600 gaming PC right now, we understand. But if you can at least start with the cheaper version of the build, you’ll still have an excellent PC ready for future upgrades. If you don’t know how to build a budget gaming PC, don’t worry. We wrote a “How to Build a PC” article a while back. Just ignore those parts and use these parts and you’ll be set. Or you can check out some video tutorials if you’re more of a visual learner (our article also has some other video references in case you don’t like the one above). Is a part missing, or are those prices dramatically different? Alert us in the comment section and we’ll fix it ASAP! The Ryzen 3 2200G APU is the center of this entire cheap gaming computer build, and we’re going to explain why. First and foremost, let’s talk about the CPU half of this APU. The Ryzen 3 2200G’s CPU performance is roughly on par with that of the i3 8100 and the last-gen Ryzen 3 1300X. 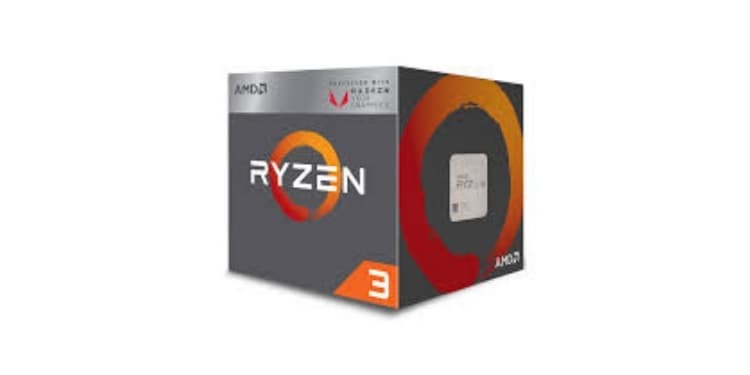 Despite this parity, the Ryzen 3 2200G is cheaper than both of those chips, supports overclocking (which the i3 does not), and has an integrated graphics solution that trounces the i3’s. As a budget CPU, the 2200G stands heads-and-shoulders above the competition. The integrated GPU is what makes it particularly special. While it’s true that the i3-8100 also has integrated graphics, these perform so badly than even many last-gen eSports titles at low settings will struggle to reach 60 FPS. With the Ryzen 3 2200G’s integrated graphics, though, modern games can be pushed to 60 FPS at 720p and mixed low/medium settings. Older games and eSports titles are often pushed to 1080p and 60 FPS, as well. If you want a more detailed rundown of the Ryzen 3 2200G’s performance without a dedicated GPU, we’ve embedded the Digital Foundry video below. This APU makes it possible to buy this build today and still be able to play games and have a great PC usage experience. Its power as a CPU should also make it great for any GPU you add to this build, so long as you don’t plan to play games above 60 FPS. The AMD Wraith Stealth Cooler is the low-end AMD stock cooler. This cooler is shipped with Ryzen 3 and Athlon CPUs, and it has a low-profile design akin to Intel’s stock cooler. It has a noticeably larger heatsink, though, and this actually lends itself to noticeably better overclocking results. If you can’t afford to spend extra cash on, say, Deepcool Gammaxx 400, then this is the best you’re going to get. As far as stock coolers go, we think the Wraith Stealth Cooler puts on a surprisingly competent showing. It enables overclocking of the 2200G’s internal GPU, which is vital for achieving the best performance numbers in the GPU-less version of this budget PC build. The Nvidia GTX 1660 is going to make the biggest difference of all the components in this build. 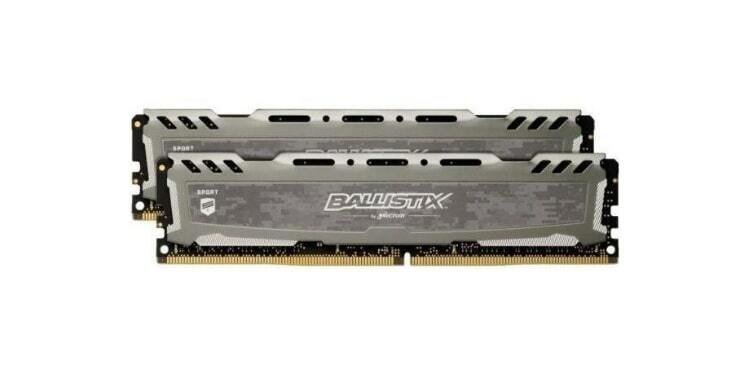 You can save roughly ~$230, or a third of the cost of this PC build, by skipping out on this card. Before you jump the gun to save that cash, though, make sure you understand the trade-off you’re making. If you’re like most people shopping for cheap PC parts, you’re doing so because you want the best bang for your buck. As far as discrete GPUs go, the GTX 1660 is as good as it gets in this regard, trouncing all last-gen competition in its price range, including the RX 580/590. In terms of pure performance-per-dollar, this GPU can’t be beat. It’s a smart purchase. Without the GPU in this build, you’ll still have an excellent PC experience. The Ryzen 3 2200G and its integrated graphics are more than enough for common browsing and media consumption. Last-gen gaming at 1080p and current-gen gaming at 720p should both be easily within reach with the APU, and with overclocking, you can get even better results. In other words, the APU version of this build gives you performance in the same general ballpark as that of an Xbox One. That isn’t bad, but for a $400 PC build, it could be a lot better. Even with the scaling of the One X and PS4 Pro, this usually doesn’t correspond with an increase in things like lighting quality, AO, texture quality, or any graphics setting beyond filtering and resolution. Games will still look fundamentally the same, just clearer. If you’re willing to compromise visual settings, you can push resolutions even higher. 1440p or 1800p at high settings and 60 FPS should be achievable in most games, and if you’re willing to settle for console settings (medium), native 4K may even be possible. Not bad for a $600 gaming PC, huh? The important thing is that it’s dual-channel, which allows both RAM sticks to achieve their full speed and ensure that the Ryzen APU can accomplish its fullest performance. If you aren’t using a GPU, the iGPU in the APU will share RAM with the CPU, and that needs to be as fast as possible. You’ll also want to allocate extra RAM to the iGPU in the BIOs if you aren’t using the GTX 1660. While many PCs are marketing themselves around having 16GB of RAM or more, this is truthfully not necessary for the vast majority of users. Games use VRAM more than they use regular RAM, and unless you have 30+ Chrome tabs open at once, you aren’t going to push 8 GB past its limits in common PC usage. The way we look at this PC build, even with the GPU included, is as a springboard to greater things. We’ve selected a modern AMD motherboard with support for future Ryzen chipsets and a large chassis with plenty of room for cooling and expansion. There’s also the whole optional GPU thing. Following this springboard mindset, we opted for quality over quantity with our storage selection. 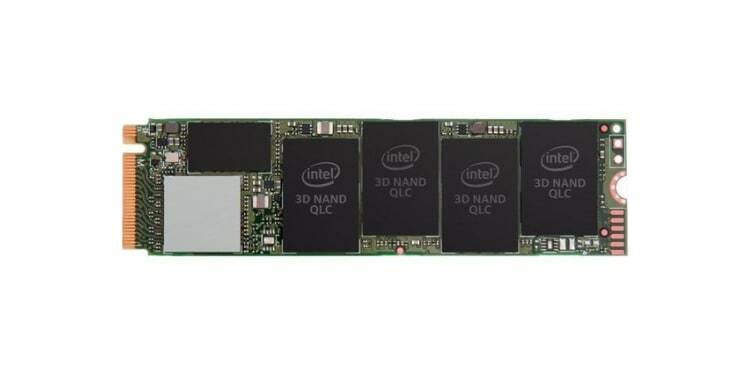 This Intel M.2 NVMe SSD pushes roughly twice the max performance of a SATA SSD, while offering 512 GB of fast storage at a comparable price. The price-per-GB here is much higher than a standard SATA HDD, but the difference will pay off in dividends. With the sheer speed on display here, your PC will be booted to your desktop in seconds, not the minutes you’re accustomed to with HDD speeds. Programs will launch faster, and any games installed will load much faster, too. This is especially ideal for those playing eSports games, where loading into the match faster than other players can translate to getting first dibs on hero or weapon picks. When it comes time to upgrade your storage, we recommend either an ADATA SATA SSD or a Seagate SATA HDD. In either case, start here! 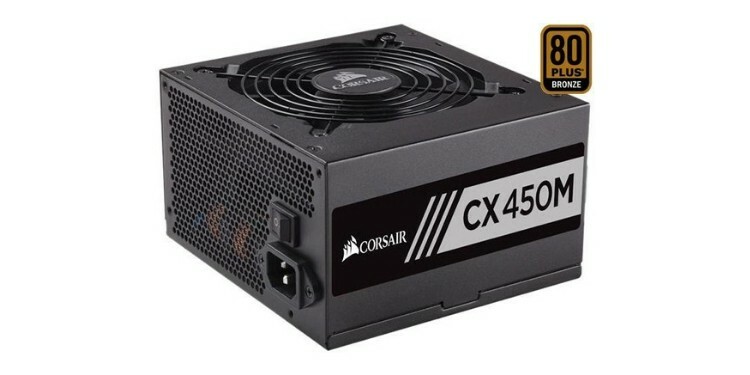 The PSU in this unit is a humble 450W PSU from Corsair. Don’t let its low price tag fool you, though: this is a quality piece of hardware, pumping more than enough wattage for this build, even with overclocks and a CPU/GPU upgrade. The 80+ Bronze Certification isn’t that great, but it’s still better than no 80+ certification at all. The size of the case means that any extra noise/heat generated by the PSU shouldn’t be a problem. The Semi-Modularity of this PSU should allow for a smooth building experience, even for a first-timer. Once you’ve met the wattage requirement, that’s the most important thing to consider when buying a power supply. 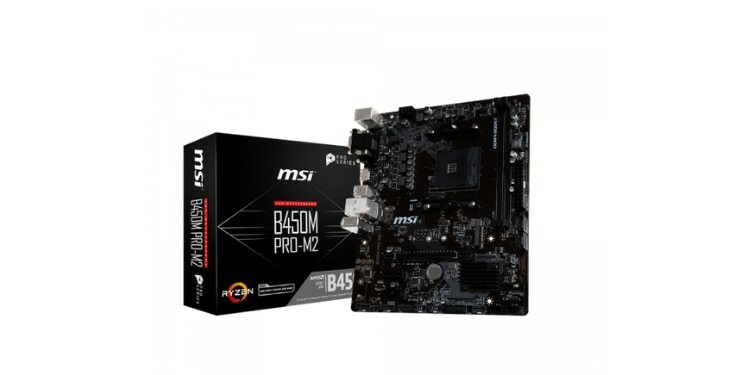 The MSI B450M PRO-M2 offers everything we need in a cheap gaming PC build. 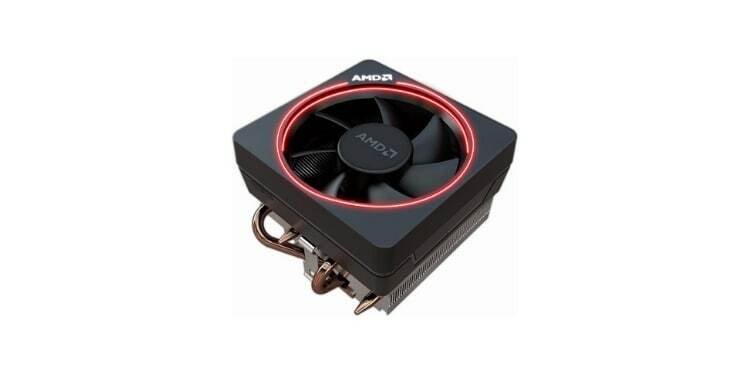 The AMD B450 chipset means that you can overclock any compatible AMD processor. With BIOS updates, this motherboard is also likely to support at least the next two generations of Ryzen CPU. For future upgrading needs, that’s pretty nice. More importantly to the DIY Gaming PC we’ve assembled, this motherboard also supports 1 NVMe M.2 SSD, using PCI Express 3.0 bandwidth. This will allow our included NVMe SSD to achieve its maximum speed, ensuring a more responsive experience than anything possible on a SATA drive. You also have 4 SATA ports, which means you can add up to 4 extra SATA drives to this PC! Besides overclocking and proper NVMe support, there aren’t many extras here. For the super low price, though, we really can’t complain about that. Last but certainly not least is our chassis, the Phanteks Eclipse Steel Tempered Glass. This is an ATX Mid Tower chassis boasting room for pretty much any cooling setup you want, with up to 5 120mm fans or a 280mm liquid cooling radiator. Regardless of your cooling needs, this case should offer what’s needed to meet them. In addition to the spacious, builder-friendly internals, we just have to talk about the build quality. You don’t usually get tempered glass and steel construction at such a low price, but both are here in full force. This ensures a long-lasting chassis, with plenty of extra visual flair possible thanks to the tempered glass panel showing off your internals. In terms of extras, you also have RGB accent lights along the PSU shroud and the power button, as well as front-mounted drive bays. 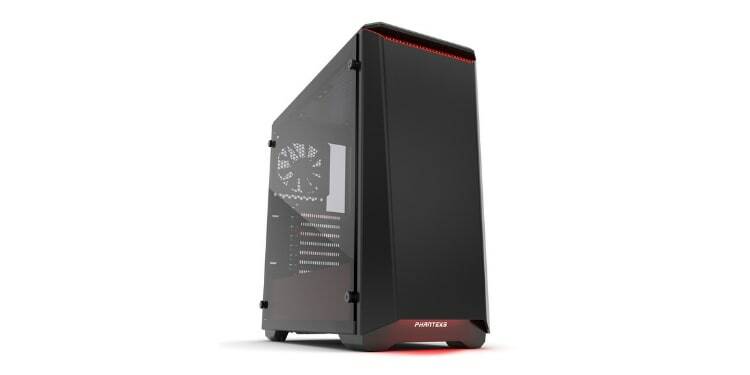 The only real problem we have with this case is that it only includes an exhaust fan, and it’s a bit large and hefty. To complete the airflow solution, we recommend slapping in this 140mm fan as an intake as soon as possible. If you just want a smaller chassis, you can also look at our alternative recommendation below. Don’t think that means you can skimp on cooling, though; it’s even more important in a small case. Note: Don’t plan on adding a lot of drives, and don’t care about visuals and extras? The Thermaltake Core is much smaller and lighter for around the same price! Christopher Harper is an up-and-coming tech writer with nearly a decade of experience (starting when he was 15!) and a genuine love for PC hardware, as well as tech and gaming at large. When he isn't writing, he works on fiction, YouTube videos, and competitive gaming.